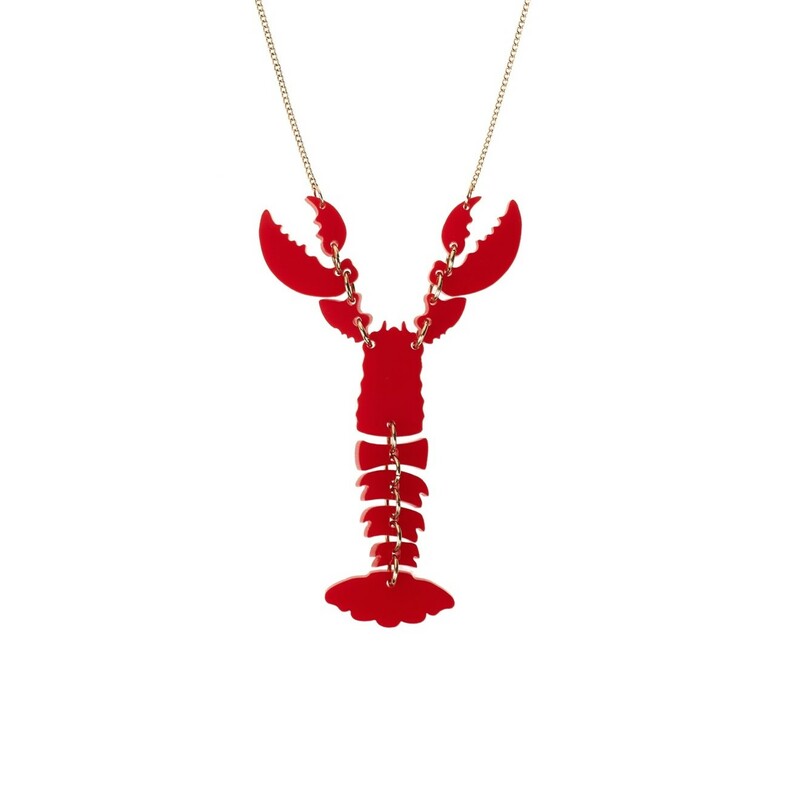 No mermaid is complete without her lobster and with 140 ruby red Swarovski crystals this bright red crustacean is a real show stopper necklace. This giant red lobster necklace is one of Tatty Devine's most iconic pieces. This necklace would look great worn in the day or even after dark to drinks and evening parties. The claws have been cleverly designed to snap when worn. I would wear over a black dress evening dress or over beach dress a with a serious tan. 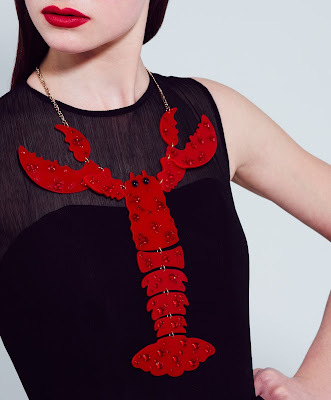 At £165.00 for a giant red lobster necklace you'll be happy knowing that this costume piece will be durable when traveling. You'll love it so much that you'll be wearing it back to work in September. 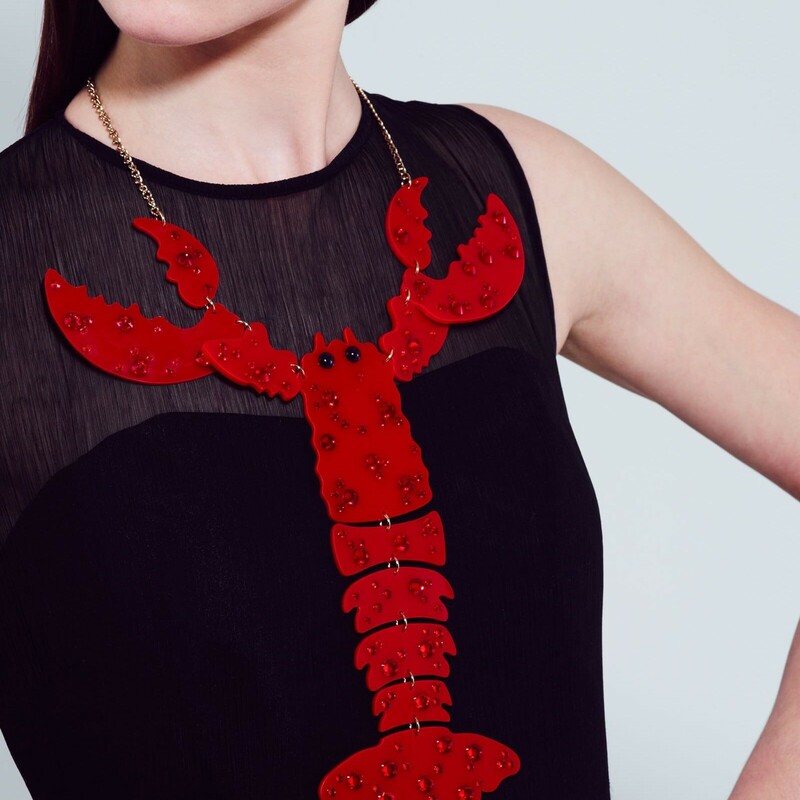 If you’re not jet setting off this summer never fear as you can come along to one of Tatty Devine’s jewellery making classes where you can regularly make your own lobster necklace. 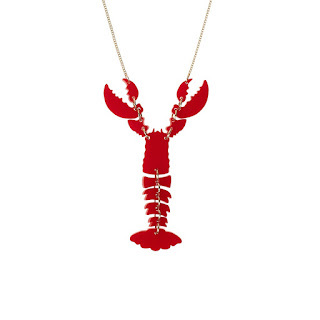 Look out for the special classes where can chose to make a red acrylic lobster or a blue one. Is this necklace a bit too big for your taste? 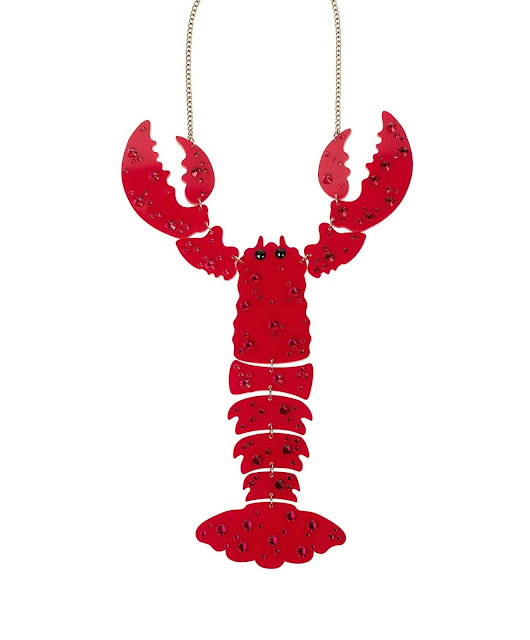 Then check out Tatty Devine's Mini Lobster Necklace at the purse friendly price of £50.00 and £40.00. 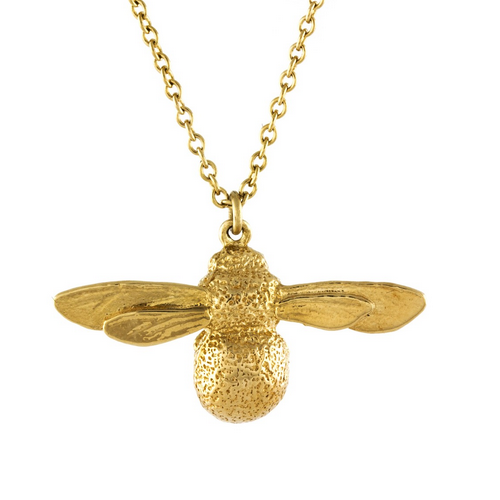 Have you been following the Jewellery Curated summer holiday? I'm dedicating all of July to the best jewellery to take on holiday. 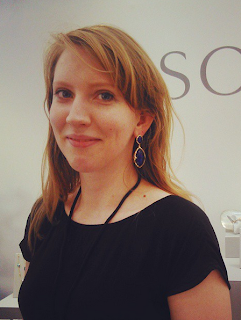 Read more about my favourite summer gemstones, best high street jewellery and tonnes more in our Summer Holiday series.